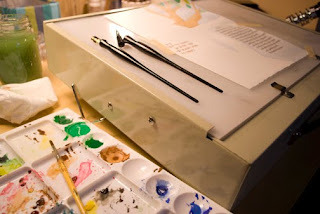 The house is quiet today and the sun has been shining in the studio window—a good atmosphere for artistic challenges. 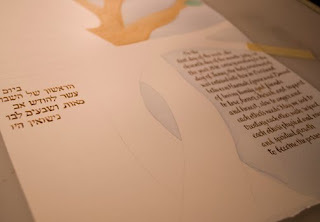 I'm playing with some new materials and working toward an important goal—Hannah and Dann's ketubah. I've allowed lots of time to get it right—almost four months. I think I'll probably need every minute of that four months!